We strive to strategically initiate, and support, cross-cutting projects. These projects bring together diverse teams of scientists from across the institute to help answer important questions. Unlike scientific working groups, which have a more permanent status, and work within one of the institute's three departments, internal projects should bring together people from different departments, and have a limited lifetime. Currently the institute supports three cross cutting projects, some in cooperation with partner institutes. In addition to the running internal projects listed below, past internal projects are described on the Project Archive page, and projects that are made possible through external funding are listed on the External Projects page. (iii) How can we assess future climate changes given climate variability, predictability and uncertainties in scenarios? For further information please contact Dr. Matthias Bittner. The ICON modelling system provides MPI-M with a modern and unified modelling platform. 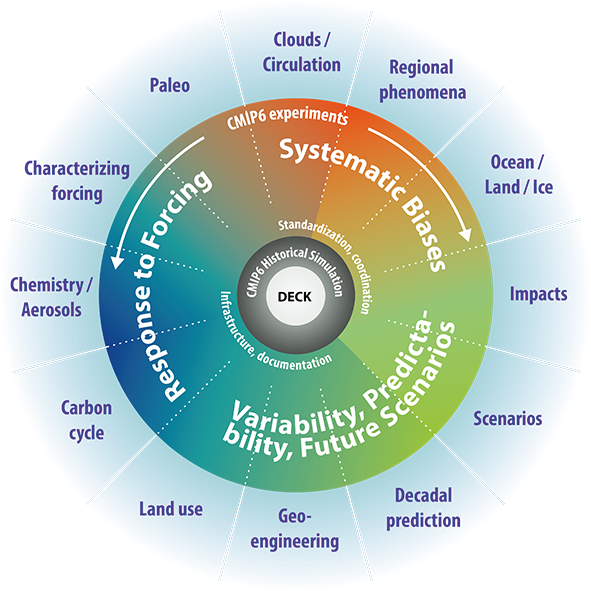 ICON can be configured in various ways to model a broad range of spatio-temporal scales of the climate system. 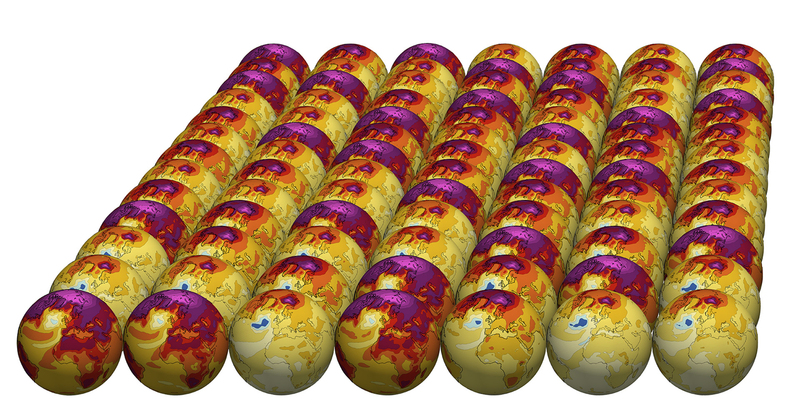 Different scientific questions may require one either to model the climate system at the highest possible grid resolution and for a relatively short time span or to model the climate over a long integration time with a large model ensemble at relatively coarse grid resolution. Both cases need state-of-the-art high-performance computing and ICON is designed to make optimal use of the modern computing environment. MPI-M employs ICON in the two projects Sapphire and Ruby. Sapphire and Ruby are based on scientific questions and comprise several specifically designed experiments. Project “Ruby” addresses the low frequency behaviour of the climate system (red part of the spectrum) and focuses on long time scales, while the priority of “Sapphire” is the high frequency system behaviour (blue part of the spectrum) and investigates shorter time scales at higher resolutions. about ICON-LEM contact Dr Rieke Heinze or Dr Matthias Brück. The Max Planck Institute for Meteorology (MPI-M) Grand Ensemble (MPI-GE) is the largest ensemble of a single state-of-the-art comprehensive climate model currently available. Does internal variability change under different forcing conditions? The Figure shows many possible realisations of the Earth under multiple scenarios.